These lesions were prepared with rotational atherectomy and stent implantations were guided by IVUS. Lesions selection for Rotational atherectomy. How to prepare and use the device. Guiding catheter, guidewire and Burr size selection. How to perform multilevel plaque modification. Guiding catheter extension to improve support and stent delivery. IVUS assessment before and after stenting. Arterial Femoral access 7F, Temporary pace-maker insertion and RCA catheterization with JR4 7F Guiding catheter. Crossing the lesion using Whisper LS coronary PCI guidewire. Exchange the Coronary guidewire with Rotawire Extra support guidewire using a Finecross microcatheter. 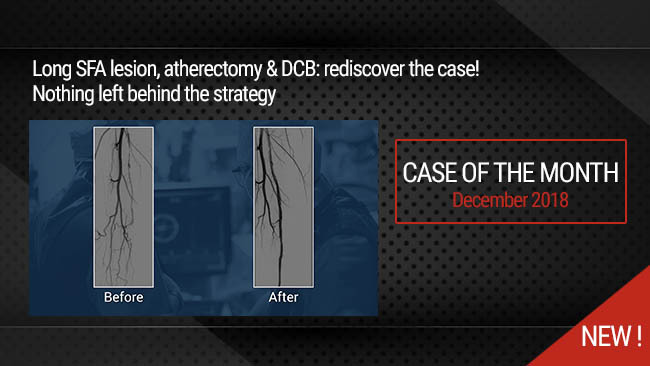 Rotational atherectomy runs from proximal RCA to the distal bifurcation with 1.5mm Burr. IVUS assessment showing optimal plaque modification. Predilatation with 3.0x20mm balloon and Rotawire exchange to BMW 0.014 guidewire. Stenting of the distal bifurcation with 4.5x18mm Onyx Drug Eluting Stent using Guideliner catheter extension. Stenting of the distal PL with 3.5x12mm Onyx stent for dissection. Stenting of the Mid and Proximal RCA . IVUS control of the final result. Publication 2015 Oct;86(4):626-31. doi: 10.1002/ccd.26077. Authors Whitlow PL Feldman T.
Publication Circ J. 2018 Jan 25;82(2):369-375. doi: 10.1253/circj.CJ-17-0668. Epub 2017 Sep 21.